How many times, while reading firearms reviews, or talking to people at the range, have you seen or heard the phrase - "This rifle/pistol/revolver is very accurate"? But what does "accuracy" mean, numerically? Quite often people talk about accuracy, but they rarely do this in context of hard, measurable, data. And, as an old maxim goes, what we cannot measure, we cannot improve. 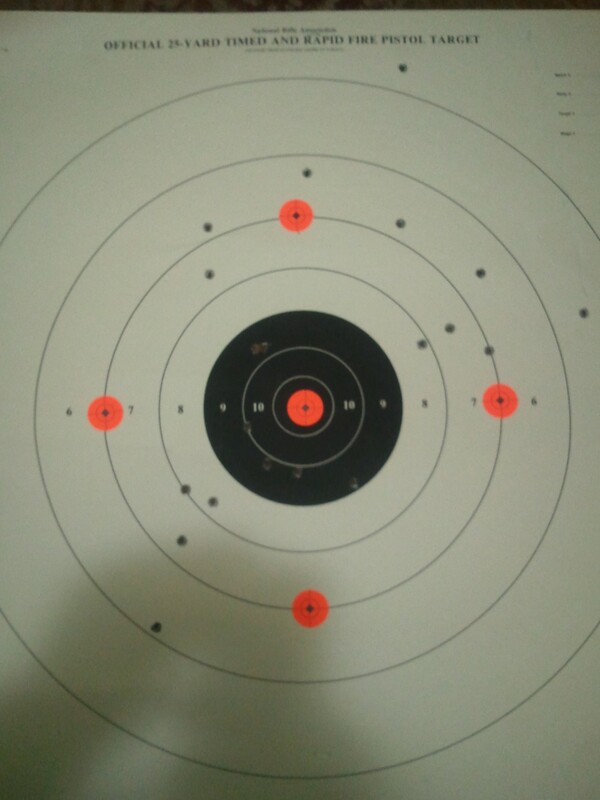 When a person unfamiliar with firearms talks about accuracy, he or she usually means ability to hit the center of the target. So in common parlance, a rifle that is fired at a target and hits the bulls eye is "more accurate" than a rifle that hits the third ring. A single shot arriving into the right place is not a very good measure of accuracy, hoowever. The point of impact is influenced by many factors - the vibrations of the barrel, the interaction between the barrel and the stock, the and the shooter, the stock and the rest, the wind, the fluctuations in air density, the speed of the bullet, the rate of the burning of the powder, and many other factors. All these factors vary a bit from shot to shot, resulting in variations of the point of impact - depending on confluence of events the bullet would hit in a slightly different place every time the weapon is fired. So a shooter may be lucky one time and hit a 10, and unlucky another time and be off the paper completely. A better measure of accuracy therefore is ability to hit one spot consistently, and this is exactly the measure that competitive shooters such as benchresters are using. Where exactly this spot is immaterial because if the point of impact is consistent, it is easy to change by simply manipulating the scope - every modern scope has turrets that can be used to move the crosshairs around, so once we figured where the rifle is shooting, we adjust the scope so the crosshairs are pointing in that very direction. Here, for example, is a target shot by Savage Long Range Precision Varminter, at a distance of 100 yards. The diameter of the red dot is 1". The point of impact is about .75" off center. It can be made almost exactly centered by turning the vertical and horizontal turrets on the scope by just a few clicks in the right direction (one click is 1/4 or 1/8th of an inch at 100 yards, usually, depending on the scope). Most people prefer to keep the point of impact a bit off center so that the first shots do not destroy the target - and make subsequent aiming harder. Of course if every shot lands in a different place, one cannot adjust the scope - and this is the difference between a rifle that is accurate and the one that is not so much. So now that we understand the basic spirit of the definition, we need to quantify it - what cannot be measured, cannot be improved, right? The dispersion of rounds measured as a standard deviation of a single round taken for multiple shots could work, but is hard to compute. A more popular indicator of the dispersion is the "group size" - the average size of several groups of multiple shots, taken under similar conditions - and so it is an accepted measure of accuracy in the world of competitive shooting. Usually it is measured in "minutes of angle" - the angular size of the group as observed from the position of the shooter. As it turns out, one minute (1/60th of one degree) is roughly equivalent to one inch as viewed from 100 yards (it is actually 1.047"), so it is a very convenient measurement unit, at least in the US where Imperial system is still in wide use. How you measure the groups and what groups you are measuring is important, however. Once upon a time I have been shooting my PSL quite a bit - debugging, really, because it was reliably producing 3-4 MOA groups, which to me was simply unacceptable for what was claimed to be a "marksman" rifle. As a side note, software developers who have faced a situation where multiple bugs cause system malfunction at the same time will appreciate the process of "debugging" a rifle. Quite often you think you have a test case isolated, reproduced, and in the debugger, when you step over an innocent looking line of code which triggers that other bug and - boom - there goes your test case - and your confidence that you were looking in the right place at all! Well, with rifle accuracy you have a multidimensional space - ammunition, optics, the rifle itself, the wind, the shooting rest or bipod, the shooting bench, and the shooter all affect the results. A change in any parameter changes the group - and some times in non-linear ways. Go ahead, analyze this! I was thrashing around for a while, when I ran into another guy with a PSL. Delighted - comparing notes often flattens at least a few dimensions - I asked him what the accuracy his rifle was showing. Having received the usual "very accurate" line and pressing for numbers, he said it was 1 minute. Whoa! Holy grail! Someone had gotten an accurate PSL and I would now learn all about making my own rifle shoot! Then I looked at his target. Which looked pretty much like the AK target above. My face must have betrayed the depth of my disappointment, so the guy went on to explain. He pointed at three holes next to each other and said that these were a "group" - basically, he was selecting the opportune shots, ignoring the rest, and measuring his accuracy by the smallest group he got. Of course, the points of impact are random variables. If you shoot long enough, you are bound to produce a group or two which will be very close. And the smaller the number of shots you have in your groups, the higher the probability of this to happen. Even my AK-47 will occasionally print 3 holes that touch, even though the average groups are nowhere near. Below is a small software simulation of target shooting. (Sorry, you have to have Silverlight installed to run it. It is a small and painless download from Microsoft). It presumes that the shots are normally distributed around the center. You enter the number of shots in the group and the average size you would like to get. It will produce random "groups" in accordance with this data. Most will be around the average that you specified, but some will be very small, and some very large. The number of shots in the group matters a lot as well. In an inaccurate rifle the probability of the next shot landing close to the previous one is small, but not zero. Let's say it's 10%. Probabilities are multiplicative: the probability of three shots being close is (roughly; this example plays very loose with math to illustrate the point) is 0.1*0.1 = 1%. The probability of 5 shots to be close is 0.01%. If you play a bit with the simulator, you will find that the larger the number of shots are per group, the more stable the results are for a given average size. A given 10-shot group is more representative of other 10-shot groups than a 3-shot group of its sisters. But if you shoot many groups, the averages will converge. Still, given the same standard deviation for a single round, an average for a 3-shot group would be different from an average for a 5, 7, and 10 shot group. Let's assume that the rifle is in thermodynamic equilibrium with the rest of the environment and loses the exact amount of heat between shots that it acquires during the firing, so the barrel neither heats nor cools (and so the shots are independent). What would be the average group size for 3, 5, 7, and 10 shots relative to a known standard deviation of a single shot? In my childhood this would be a very interesting mathematical problem, but since then computers have corrupted me. So instead of trying to come up with a formulaic solution, I have simply simulated the problem by generating a few millions of random groups, measuring them, and regressing the results. This method is called Monte-Carlo simulation, by the way, and is very popular amoung high-energy physicists. So what does it mean? It means that if a gun shoots, on average, 1MOA 3-shot groups, the average 5-shot group for the same gun will be 1.3MOA (3.07/2.41) and the average 10-shot group will be 1.6MOA (3.76/2.41). Also, not surprisingly, if an average group is 1 MOA, roughly half of the groups will be above that (median is just slightly less than the average). What if I wanted to have a "guarantee" of accuracy? I have no idea how firearms industry is treating its guarantees, but one benchmark in engineering is the so-called six-sigma interval, which contains 99.73% of all occurences of a random value. From the table above, then, if 99.73% of all shots for a 3-shot group have to be under 1 MOA, the average must be less than 2.41/5.29 = 0.5 MOA. Is this what gun companies really mean when they advertise "accuracy guarantees"? I don't know, but for consumer rifles, I seriously doubt it. Perhaps the biggest impact on a rifle's accuracy is the choice of ammunition. For the bullet to be stabilized appropriately in the barrel, the bullet weight must match the twist rate of the rifling in the barrel. A barrel's twist rate is measured in the number of inches along the bore that it takes the rifling to make a full 360 degree turn. So rifling in a barrel with 1 in 10 twist would make one revolution for every 10 inches of the barrel's length. A barrel with 1 in 12 twist will have rifling that makes one revolution per 12 inches. Different twists of rifles stabilize different weights of the bullet. A faster (shorter) twist stabilizes heavier (longer) bullets. The actual numbers depend on caliber and length (weight) of the bullet, and are usually computed by software that simulates internal ballistics of the bullet as it makes its way through the barrel. For example, here are the tables for the recommended rifle twists for two popular calibers, from here: http://www.shilen.com/calibersAndTwists.html. The ammunition should be selected such that the bullet weight is close to the maximum allowed for the twist in your rifle. 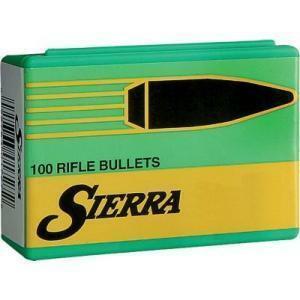 A heavier bullet is more stable, and less susceptible to fluctuation of the atmosphere. A lighter bullet going through the unnecessarily fast twist simply loses the speed and wears down the bore without much gain in accuracy. But if the bullet is heavier than what the twist allows, it is stabilized insufficiently and will tumble in flight, losing accuracy. The choice of bullet weight and speed becomes even more significant for long-range shooting. The goal is always to make sure that the bullet is supersonic until it hits the target. If it makes the transition from supersonic to subsonic enroute, the sound wave traveling behind the bullet catches up and deflects the bullet from its trajectory. So for a long range shooting the muzzle velocity of the round should be the highest possible for the rifle and the caliber, and this may require lower barrel twist and lighter bullets. At the same time the lighter bullet is more susceptibl to the wind, so establishing the happy medium often requires a lot of fine-tuning. 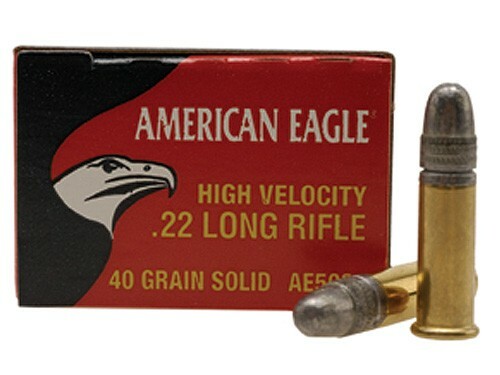 The quality of ammunition varies significantly, and so is the rifle accuracy when using said ammunition. The same rifle might shoot 0.5MOA groups using Federal Gold Match, and 2-3MOA using cheap Prvi or PMC ammunition. Ask us about accurate guns! Almost all competitive shooters make their own ammunition. This requires them to select the bullet and the powder charge combination that maximizes the accuracy of their specific rifle. Every rifle has its own resonance frequency and moves slightly differently depending on bullet's dynamics in the barrel. Handloading allows selecting the right combination of components that minimizes barrel vibration, and therefore improves accuracy. Handloading the rimfire ammunition is not possible, so it pays to try as many brands as you can get your hands on to achieve the same effect. 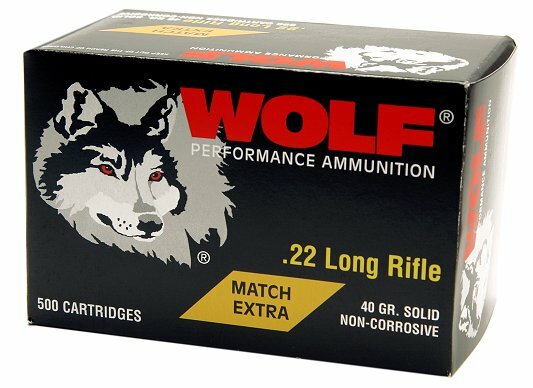 The only way to choose is by trying them all - the fact that some brands works better in the same rifle that belongs to someone else does not mean much, because no two rifles are identical, and even small differences matter great deal when we are talking about fractions of inches at a hundred yards. When it comes to combatting the effects of the barrel vibration, free-floating the barrel is second only to the ammunition choice. The term means raising the barrel above the stock such that the contact between the stock and the barrel is eliminated, and the stock only contacts the receiver. This allows the rifle to vibrate freely and significantly reduces the interaction between the barrel and the shooting rest, the sling, or the shooter's hand. This is impossible to do on some rifles (AKs, for example). For such rifles it is super important that from shot to shot the rifle position vis-a-vis the shooting rest is exactly the same, the shooting rest is much more stable, and the shooter's contact with the rifle, before and during the shot is much more consistent. In other words, a lot of responsibility for the accuracy is transferred from rifle to the shooter. A bipod can help in some cases, if it is possible to attach it to the handguard. A bipod attached directly to a barrel usually makes things a lot worse. The second most important adjustment a rifle might have to add accuracy is ensuring that the contact between the receiver and the stock is as tight as possible. If the receiver shifts slightly relative to the stock, the forces that act on it will be slightly different every time the rifle is fired, and this will introduce inconsistency that is detrimental to accuracy. The problem of stock to receiver contact is usually solved by bedding - putting something into the stock channel to ensure tight fit to the receiver. This something could be aluminum pillars that are epoxied into the stock (pillar bedding), a layer of epoxy that forms a hard contact surface that conforms to the receiver shape ("glass" beddig), or an aluminum block that is embedded into the stock, to which receiver is screwed (bedding block). HS Precision stocks and Savage Accu-stocks are built around bedding blocks. When I replaced cheap factory stocks that were on my 223 and 308 Savage 10fp rifles (which were built before Accustock became standard), the 308 went from being a solid 1MOA rifle to 0.5MOA, and 223 went from .75MOA to 0.4MOA. Stocks that have integrated bedding blocks are very nice because they can be installed easily, without the need to mess with the epoxy. If the stock cannot be bedded (for instance, because the rifle has historical value and altering it would reduce this value), just playing with the tension on the screws that connect the stock to the receiver sometimes produces unexpected results. My Kimber 82G had hard times keeping 1.5" groups at 100 yards. 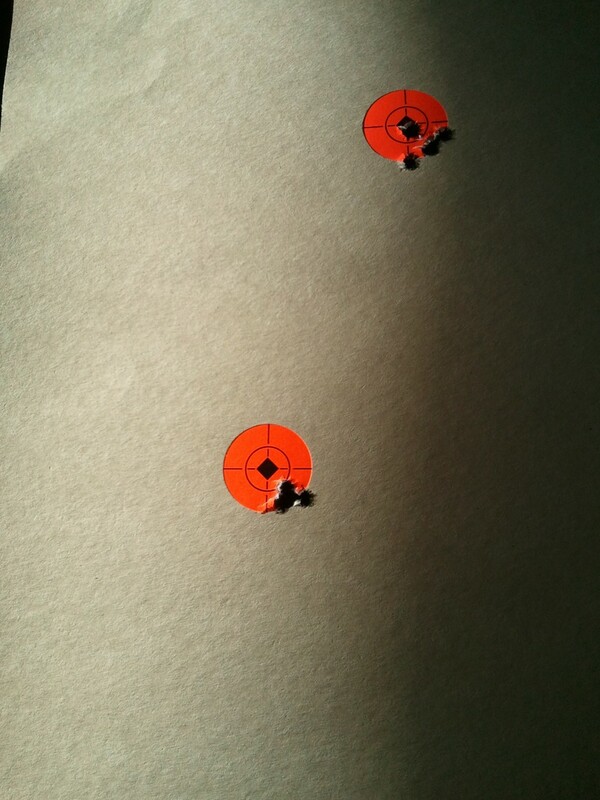 Once I set the tension to 18in-lb, the groups tigtened significantly - to most being less than 1MOA. Overtightening can be as bad as letting the receiver rattle in the stock here, because it introduces tension which then gets relieved during the firing of the weapon, so setting the screws to the right tension - not too much, not too little - is important. The quality of the barrel matters a lot, but the wear is less important than you'd think. A centerfire barrel lasts for several thousand rounds, and a rimfire barrel much longer than that, for tens and even hundreds of thousands rounds. There are several reasons why barrels deteriorate. First, in centerfire rifles the chamber area is subjected to extreme heat and pressure of smokeless powder burn. The surface of the metal develops irregularities - cracks - which rip the surface of the bullet as it rubs on them. This affects the aerodymanics of the bullet. Because the pressures of rimfire ammunition are rather low, heat damage to the chamber area is not a factor here. Second, the threads at the muzzle often get damaged by incorrect cleaning practices (for instance, by cleaning from the muzzle), and the condition of the rifling here affects the flight of the bullet the most. If varying the powder charge affects the point of impact considerably, this is probably because the crown of the rifle is damaged. This can be remedied by counterboring - removing the rifling in the immediate vicinity of the muzzle. This factor affects centerfire and rimfire rifles. Finally, the wear from the bullets passing through the muzzle eventually removes enough metal from the lands so they no longer can grip the bullet tightly. (In a new rifle the bullet diameter is slightly more than the diameter of the bore, so the bullet is squeezed into the bore.) A bullet in an oversized bore does not stabilize very well. Small amount of corrosion in the barrel - such as pitting - does not affect accuracy a lot, unless it is big enough to damage the surface of the bullet. The numbers below are normalized to averages of 5 shot groups at 100 yards using factory match-grade ammunition and handloads where specified. Do not expect a $6 box of PMC to be anywhere near, however, and do not expect these numbers to simply project to a 1000 yards! Most modern bolt-action rifles should be expected to clear 2MOA, in the factory confiruration. Quite a number of rifles below - some well below $1000 - can be expected to shoot in the 0.5-0.75 MOA range with handloads (see the review section). The price is not necessarily a defining factor here - my $600 Savage 10FP is consistently more accurate than my $1500 Remington 700 Tactical Target. "Target" factory rifles such as Savage 12 F/TR, Palma, or LRPV will reliably keep below 0.5MOA with handloads. They retail for around $1000. Police and military rifles will be in this category as well, although they usually cost significantly more than Savage target rifles (with the exception of Remington 700P and Savage 10FP, which are all under or around $1000). Good examples of accurate factory military and police sniper rifles are AI Arctic Warfare, Sako TRG, and Les Baer Tactical Bolt Action rifle. A competitive benchrest class gun should produce groups below 0.25MOA consistently. The world records in all non-aggregate classes of benchrest shooting are all under 0.05MOA. These guns would usually cost anywhere between $2000 and $6000. On the other side of the spectrum, most common older military surplus bolt action rifles such as Mosin Nagant, as well as many variants of Mausers (in their original configuration) will shoot 3-4 MOA "out of the box". Using the handload and accurizing (but not completely reworking) the rifle it is possible to drop the averages to just above 1MOA. I've experimented with Mosins quite a bit, but could not bring them to below this number without replacint the barrel. Semi automatic rifles are considerably less accurate (in the sense that for every price range where an AR-15 clone shoots X you can find a bolt-action rifle would do Y<X for significantly less money). A typical AK-47 is expected to shoot 3-4MOA. There are rumors of more accurate AKs, but I have never seen either the rifle, or hard numbers to prove these rumors. There are several "marksman" variants of an AK, such as Romanian PSL and FPK (two names for the same rifle) and Yugoslavian M76. These rifles pretend to be an SVD, but they are actually bult around AK action and inherit the inaccuracy of the setup. Wikipedia claims that some PSLs reliably clear 1MOA, but, again, I have not seen this. Mine, and the ones I've seen around me on the shooting range, all shoot around 2-3MOA with handloads, and these are the same numbers that are widely quoted for M76. Soviet standard military issue rifle is called SVD and is expected to reliably shoot under 1.5MOA, and is expected to be sent in for repair if it does not do so. SVD is supposed to be the only rifle that was originally designed as a sniper weapon, rather than being a tweaked hunting or general purpose military design. Its action is more similar to SVT and SKS, rather than to that of an AK. It is important to note that AK, SKS, and their derivatives all have non-floating barrels, which makes accuracy even more dependent on the shooter. The differences in expansion of the gas tube and the barrel also result in one pulling on the other and a resulting vertical stringing of up to 2-3 MOA as the rifle heats up. AR-15 is an extremely versatile platform and are available in all styles, trims, and accuracy ranges. A typical "plinker" 16" M4 with not a free-floated barrel will shoot about 2-3MOA. Adding a free-floating handguard would typically bring the groups down to 1.5-2MOA range. Since AR-15s are often used in matches, there are a number of match variants that would reliably shoot under 1 MOA. Rock River Arms National Match Rifle is a good example - the factory promises 3/4MOA 5 shot groups, for about $1200. Les Baer Custom is the very high end - for over $2k you get a guarantee of 1/2MOA 5 shot groups. Unfortunately, accurate rimfire rifles designed for competitive shooting are no longer made in the United States. The Civilian Markmaship Program used to sell guns that belogned to army teams has also run out. The older rimfire rifles made for competition - Remington 40x and Winchester 52 - can still be bought on gunbroker, where they usually start at above $1000, and often command prices well in excess of that. 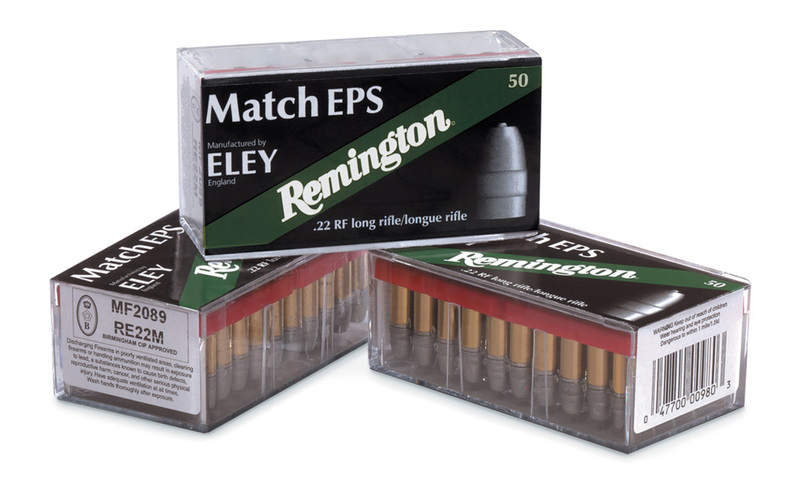 These rifles can be expected to reliably deliver 0.2" 5-shot groups at 50 yards. The currently produced olympic-style competition rifles are all made by Anschutz, start at $1500, and should be expected to do the same. The most accurate mass-produced rimfires today are made by CZ. Their best model - CZ-452 - has unfortunately just been discontinued. It reliably delivered 0.75" groups at 50 yards, and the number went down to 0.4" after floating the barrel and bedding the receiver. There are still a few places where CZ-452s can be bought. We have a very small number of new rifles at PreciseShooter, here. Handguns vary in accuracy considerably. At the very top range are Les Baer Custom shop 1911s, where for an extra cost they guarantee 1.5" groups at 50 yards - an absolutely phenomenal accuracy for a handgun. Freedom Arms revolvers in the hands of an expert shooter would deliver comporable accuracy - an average 5-shot group should be in 0.5-1.5" range at 25 yards. At the bottom range there are various "suicide" pistols and revolvers with 1.5-2" barrels that have trouble hitting the 20x20 paper target at 25 yards. A decently built match-grade factory 1911 should be doing 2-3" at 25 yards. The same can be expected from several top-grade 9mm handguns such as Sig P226 and CZ 75B Single Action model. A plethora of police, "self-defence", and milsurplus guns, such as Glocks, CZ-82s, P64s, Tokarevs, and the like were not built for accuracy. Expect 4-6" at 25 yards. I only have direct experience with Ruger Mark III. Mine is a target trim with 5" bull barrel and adjustable rear sights. With the scope it shoots 1.5" 10-shot groups at 25 yards reliably, and about half of them are around 1". Some ammo is more accurate than other. Surprisingly, Wolf Match Target performs very poorly in mine, whereas CCI Blazer does reasonably well. Browning Buckmark is supposed to be very similar. These two models are often used for local competition and teaching people how to shoot accurately. There isn't enough statistics about shotgun accuracy. It is not expected, and most people are not trying to measure it. For what it's worth, when firing slugs from the rest with a scope, my Mossberg 830 does 3-4" 5-shot groups at 50 yards and this scales linearly to 100.